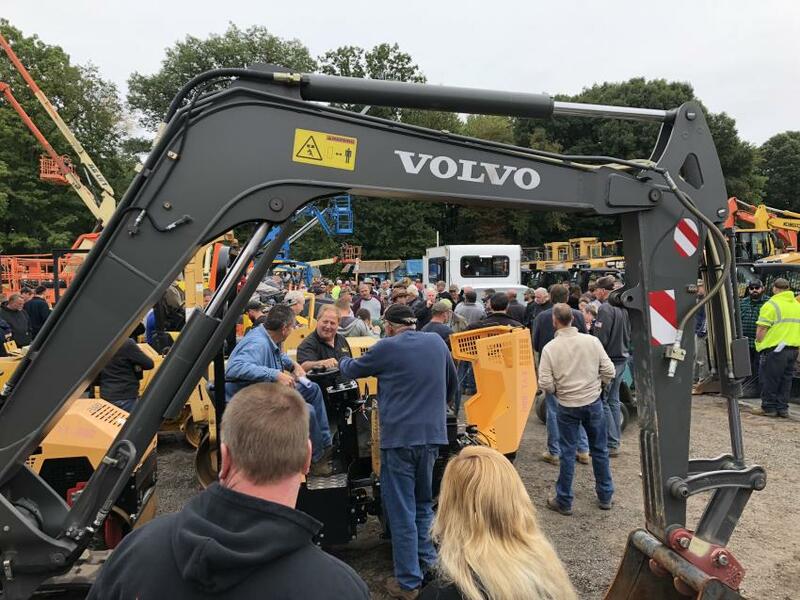 Sales Auction Company held its semi-annual public equipment auction Oct. 6, 2018 at its permanent facility in Windsor Locks, Conn. 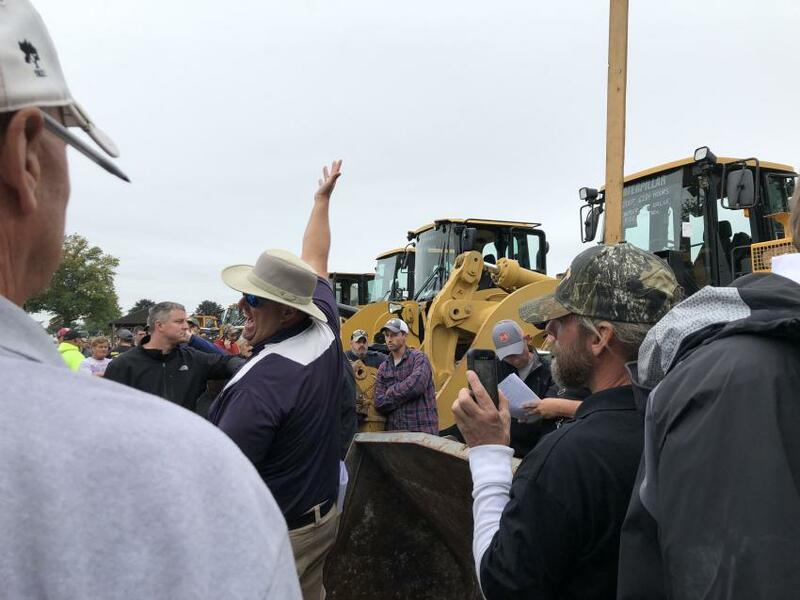 This event was by far the company's largest and most successful sale ever with 1,213 lots sold, including a large variety of excavators, loaders, dozers, more than 30 skid steer loaders, farm tractors and a large selection of trucks. 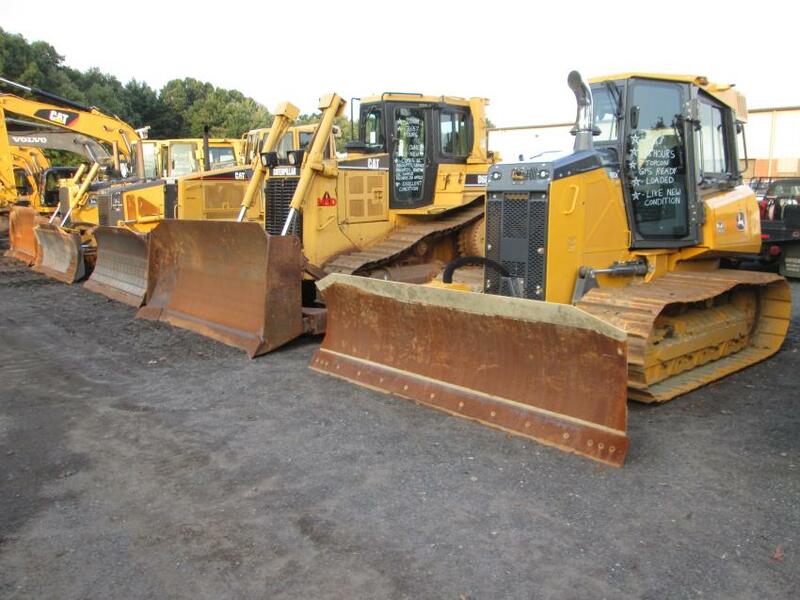 Approximately 2,000 bidders competed to purchase the equipment, almost half of which bid online through Proxibid. Total sales were nearly $7 million with items sold across the United States, Canada, Mexico and as far away as Vietnam and Australia. Get a load of this Cat 950M that sold for $190,000. 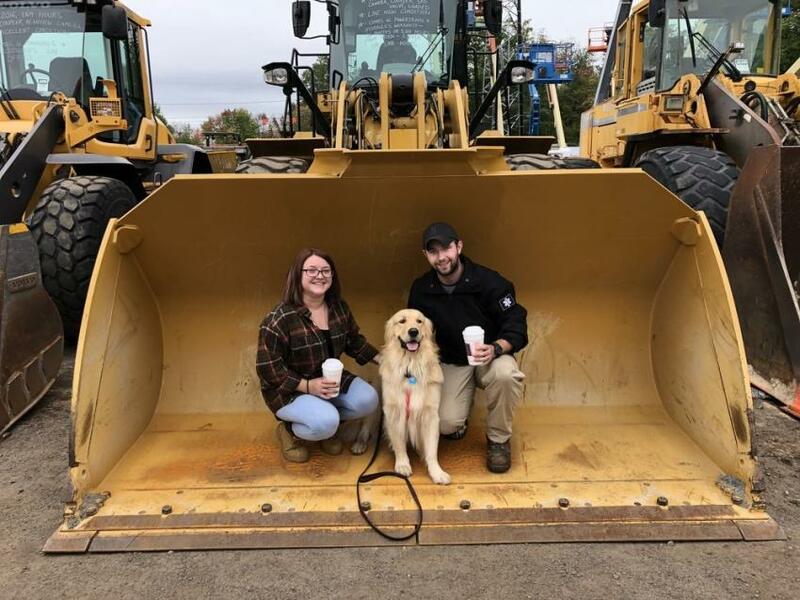 Emily Csuka and Tom Cobb of Evergreen Tree Services enjoy the sale accompanied by their dog, Timber. 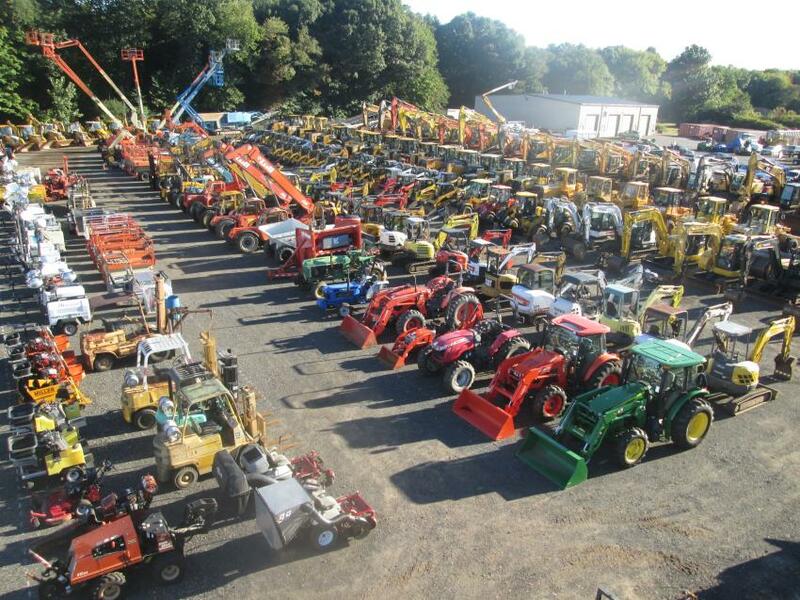 A tremendous variety of aerial lifts sold to the highest bidder in person and online with help from Proxibid. 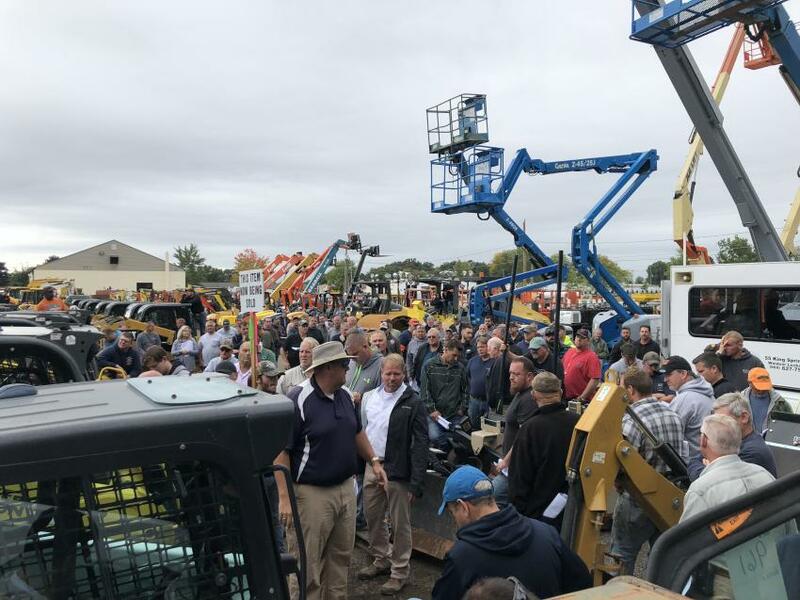 Sales Auction Company attracted one of the largest crowds ever with nearly 1,000 in attendance and an additional 1,000 online bidders. With the boom in construction, compact excavators are in high demand. 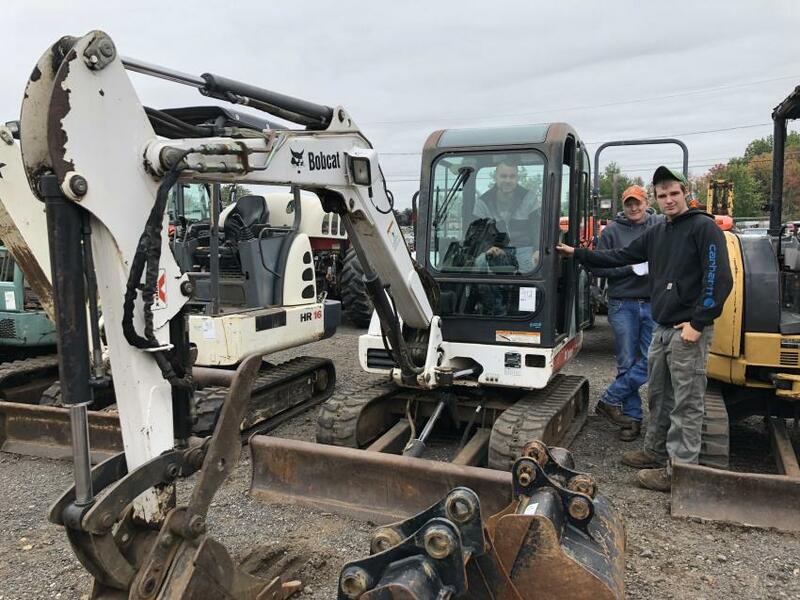 Checking out the controls of this Bobcat (L-R) are Brett Long (in cab), Lee Shuhi, and Dustin Pagano, all of BLG Property Maintenance. 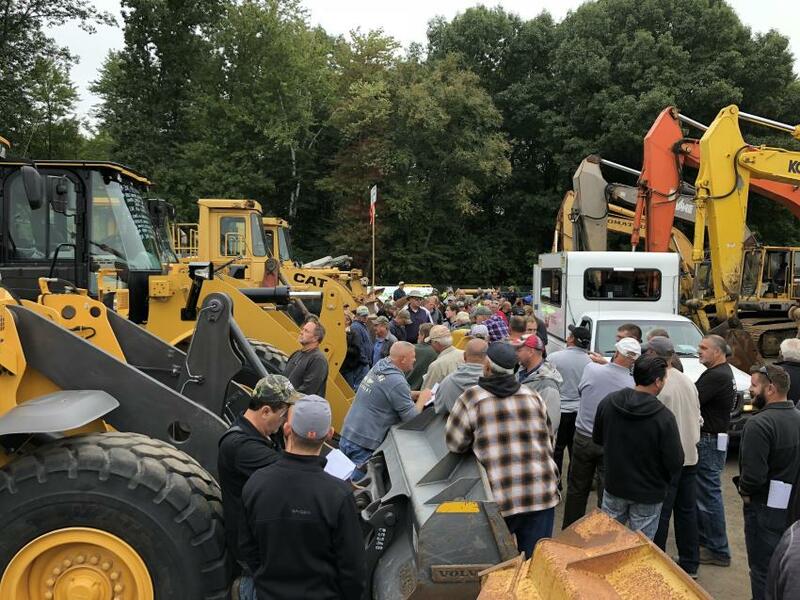 This Oct. 6 sale was by far Sales Auction Company’s largest and most successful sale ever with 1,213 lots sold, including a large variety of excavators, loaders, dozers, more than 30 skid steer loaders, farm tractors and a large selection of trucks. 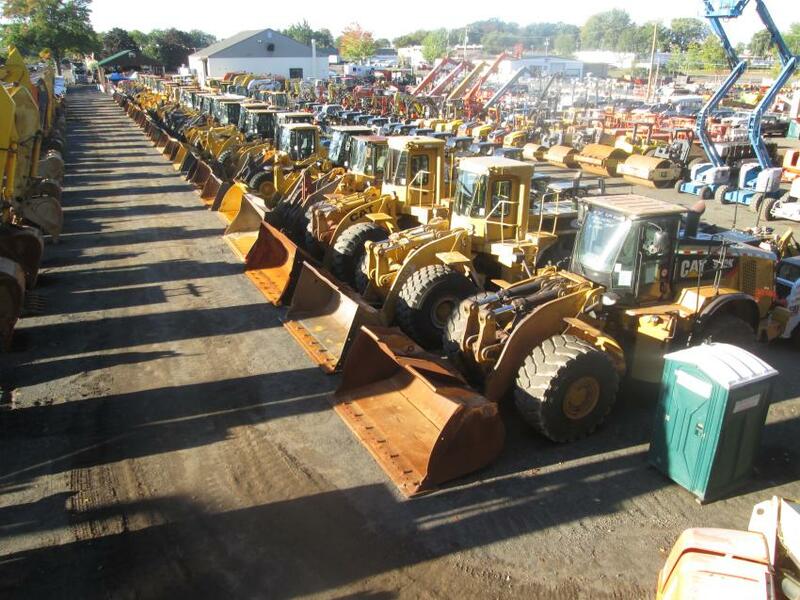 A great lineup of wheel loaders perfectly timed for winter snow removal preparation. 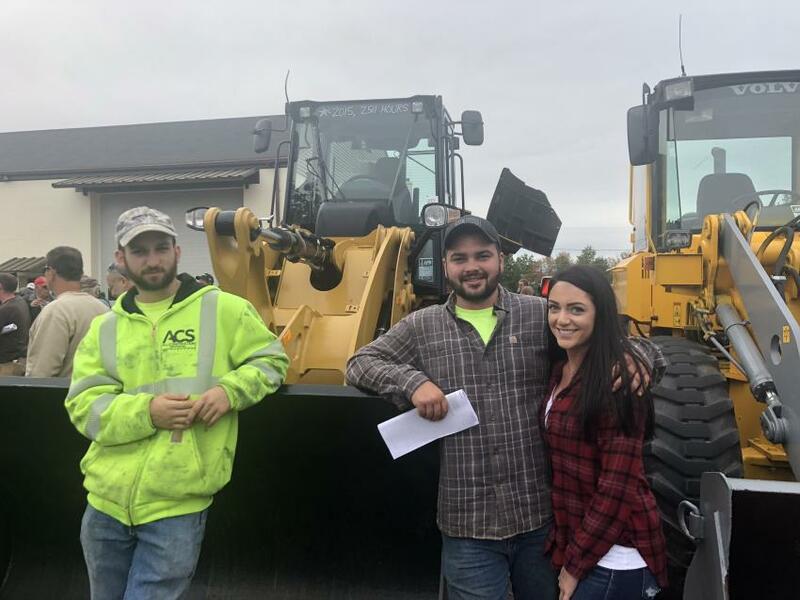 (L-R): Benjamin Mitchell of Barry, Mass., and Derek Carroll and Ashley Bard, both of All Construction Services, Gilbertsville, Mass., stand in front of a 2015 Cat 914K that would wind up being sold to a bidder in Ohio. 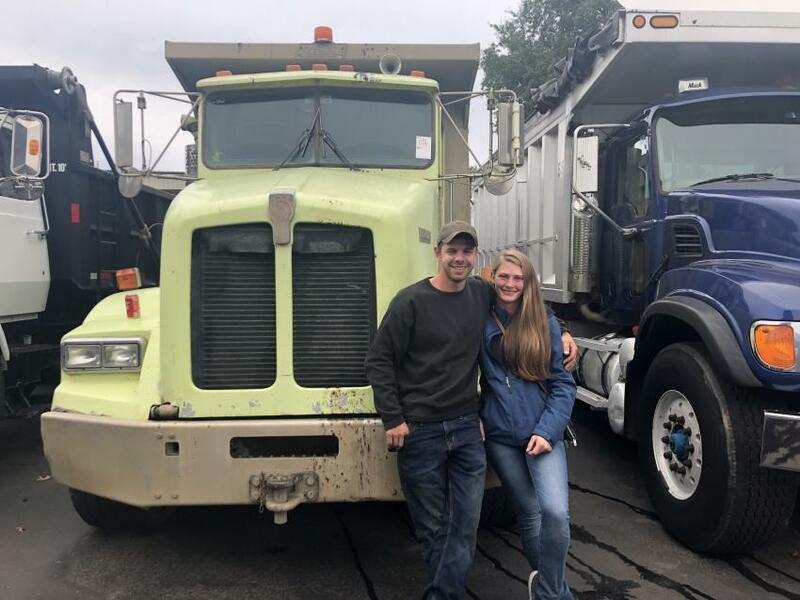 Seth Dias and Brittney McRae of Ten Four LLC in Norwalk, Mass., check out the nice lineup of tri-axle dumps. 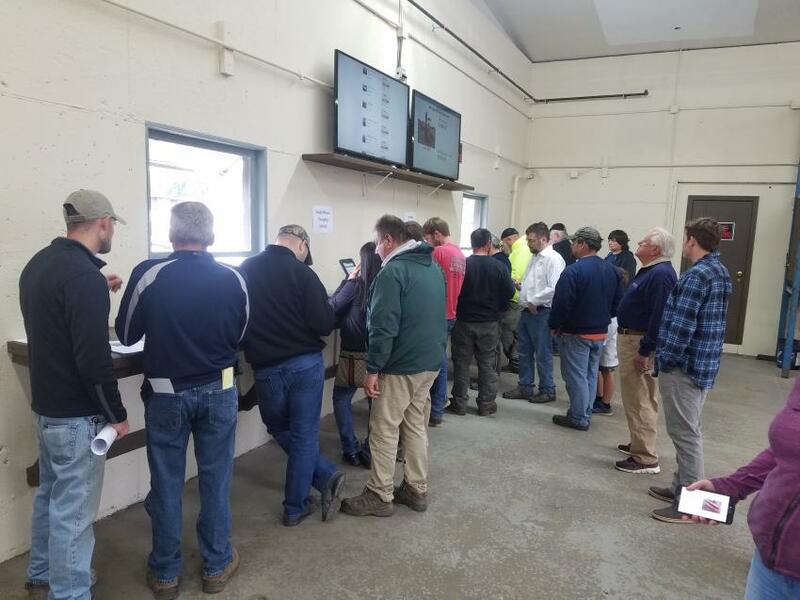 One of two locations where bidders can bid using iPads or connect to Sales Auction Company’s free Wi-Fi service. This 2004 Cat D6R sold to a repeat customer from Australia for $95,000. 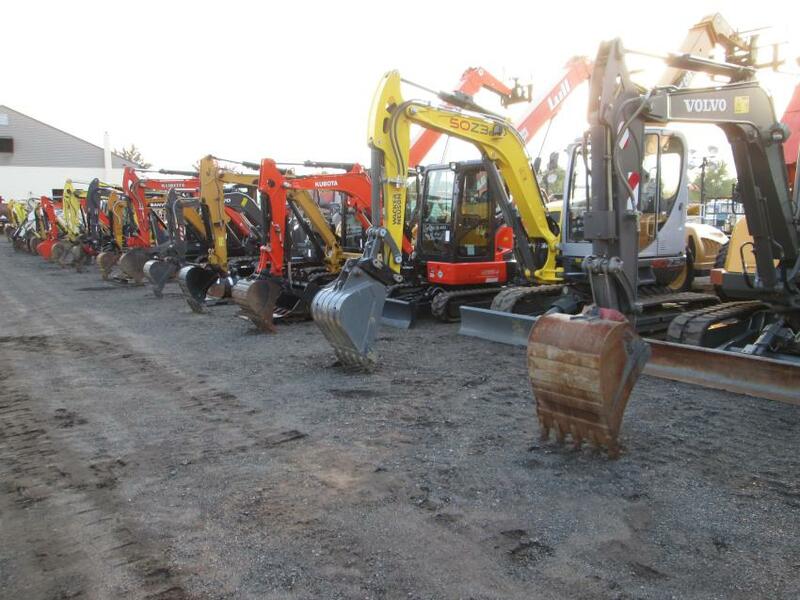 An impressive lineup of excavators went on the auction block. 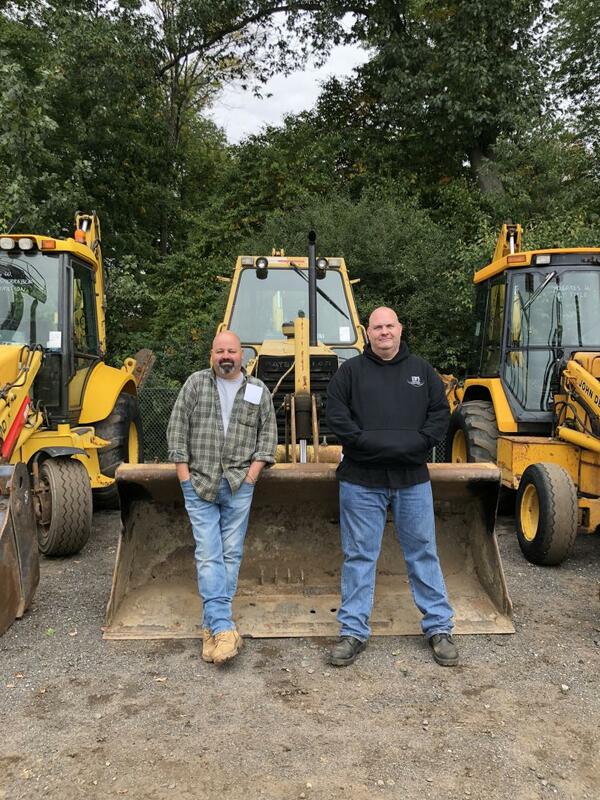 Chris Lavelle (L) and Dave Isakson, both of South Hadley, Mass., check out the tractor loader backhoes.